Alvarez and Citizens United, but not limited to same. their pensions because of their bad actions in such guardianship cases. permitted and continue to permit impermissible guardianships. Just so the record is clear — In the course of the illegal proceedings brought against JoAnne Denison (see: Alvarez case in which action such as promulgated by Larkin in his 18 USCA 371 coverup was ruled to violate the First Amendment) Larkin engaged unlicensed court reporters. The Illinois legislature specifically prohibited such engagement to protect the public and specially prohibited the payment for unlicensed services (see Section 13 of the act). Nevertheless, knowing that the payments were illegal Larkin ex-parte secretly appeared before the Illinois Supreme Court to request reimbursement for the illegal payments. The Supreme Court knowing (or should have known) that the payments ere illegal compounded he felony by entering judgement providing for the payment against Ms. Denison. Thus criminal conduct has occurred in the offices of the IARDC and/or the Supreme Court of Illinois. If the Supreme Court of the State of Illinois refuses to obey the law, the soveignty of the State of Illinois is in serious jeapody. NB: Ms. Denison’s blog is protected by the First Amendment to the United States constitution, Article 1 of the Illinois Constitution, and 47 USCA 230, plus State Statutes. Here blog has been characterized by Larkin as AKIN TO YELLING FIRE IN A CROWDED THEATER. If you read the blog you will note that its main object and success has been in reporting official corruption in the Courts. Exactly why reporting corruption in the Courts that injures the public should be punished in Illinois has never been explained. It should be noted that the file in In re: Sykes 09 P 4585 and the File in the Alice Gore case confirm and establish the accuracy of significally all of Ms. Denison’s blog reports. Larkin in an effort to justify his intention disregard of all ethical standards of the legal profession even went so far to the intentionally misrepresent the SCOTUS ruling in the Alvarez case. He represented one of the rejected arguments as the ruling of the SCOTUS. The Illinois Supreme Court appears to have rubber stamped Larkin’s perfidy. “your loved one kidnapped, your inheritance stolen. It’s all legal and you can’t stop it .” David Culbertson, National pipe and Plastics, NY. This new book is a resource guide for seniors and their loved ones to help them understand the problems of not having good representation or an advocate who can help them avoid dangerous pitfalls as they age. It is also designed to help seniors discuss the issues pertaining to incapacity before they are in that precarious position. Thanks Janet for sending this along. 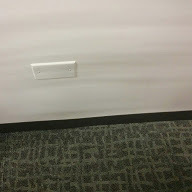 You will recall when I published the covered outlets so no one can bring a laptop and blog all day long. The ARDC doesn’t want blogging or court reporters. They want secrecy to protect their friends and cronies. Court reporters and blogging stop them in their tracks and they don’t want that. No court reporters need apply. No bloggers ever period. These are covert operations. From Ken Ditkowksy–no excuse for Larkin to use unlicensed court reporters! 1) How many court reporters has the IARDC hired in the last 10 years that have been unlicensed? 2) do they check the license of every court reporter they hire? 3) who at the ARDC checks for the court reporter’s license. 4) who hired, participated in the hiring of unlicensed court reporters and court reporters coming from agencies that have invalid/expired corporate names? 6) how much has the IARDC paid unlicensed court reporters for the last 10 years? 7) who hired or participated in the hiring of each of these court reporters? 8) has any person employed by the IARDC received any kickback, finders fee or payment of any kind from any court reporter or court reporter agency? 9) has any person employed by the IARDC received any promise or benefit of any kind or type from any licensed court reporter or court reporter agency? Subject: this should tell you something! The Supreme Court of Illinois by its obvious mistreatment of Disciplinary Cases including but not limited the JoAnne Denison case has abrogated its position and each of the justices reduced the dignity of the court to zero. The fact that the court knows or should know that by it obvious attornment to the criminal fraud of Jerome Larkin it has effectually made all licensing in the State of Illinois void. Larkin at all times relevant knew or should have known that he was violating the law when he engaged unlicensed court reports to provide reports of proceedings for his kangaroo hearings, and he certainly knew (also the Court knew) that his secret petition asking the Supreme Court to engaged JoAnne Denison to reimburse him for the illegal payments was wrongful. However, the Court cannot act as a Court improperly and attorn to individual officeholders and/or public officials doing wrongful acts. Thus, it cannot affirm a State agency or even a Judicial entity engaging unlicensed professionals (court reporters) and therefore as licensing statutes are clearly VOID Larkin can engaged unlicensed court reporters in derogation of the Rule of Law. No valid licensing equates to a carte blanc to engage anyone as a court reporter. The net is simple – the State of Illinois and the IARDC have been illegally licensing people for years and every dime collected must be returned to the people who have been misled by the State officials and judicial officials. It is dishonest for the State of Illinois and the IaRDC to not return this money immediately!